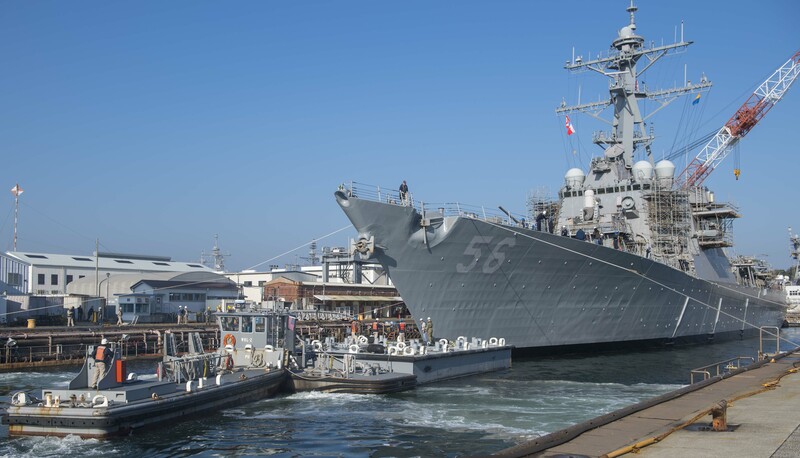 Guided-missile destroyer USS John S. McCain (DDG -56) has left a dry dock in Yokosuka, Japan, after nine months of repairs stemming from a 2017 collision with a merchant chemical tanker that killed ten sailors. 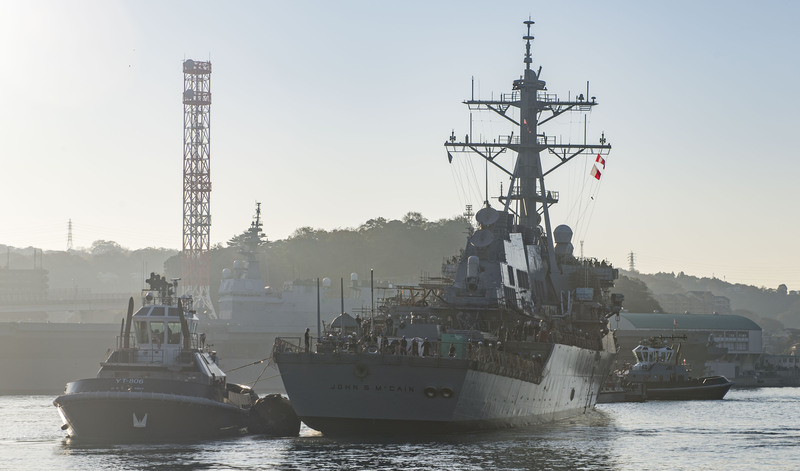 Following the Aug. 20 collision off the coast of Singapore, the destroyer was taken via heavy-lift ship to Yokosuka, where it entered the dry dock in February. 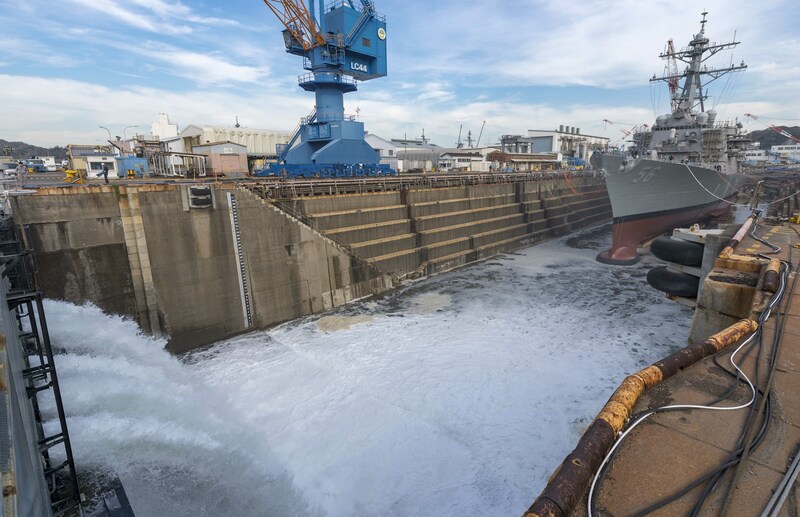 “Today, McCain has a fully restored hull, a new port thrust shaft, and newly constructed berthing spaces,” reads a statement from U.S. 7th Fleet. Several divisions of Naval Sea Systems Command, representatives from General Dynamics Bath Iron Works and Sumitomo Heavy Industries worked to create an assessment of the damage and then a plan to repair the ship after the bow of Alnic MC punched through the hull of McCain. 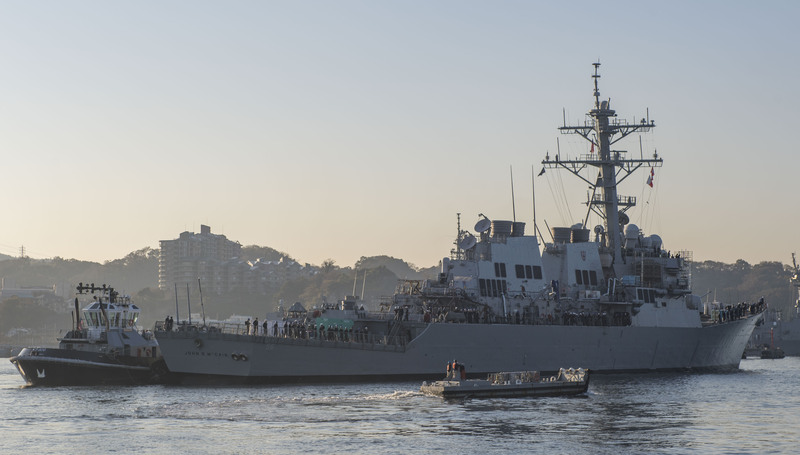 Now pierside at the naval base in Yokosuka, where McCain is homeported as part of the Forward Deployed Naval Force Japan fleet, the ship and crew will undergo comprehensive testing and additional repairs. The work is set to be completed sometime next year, according to 7th Fleet. 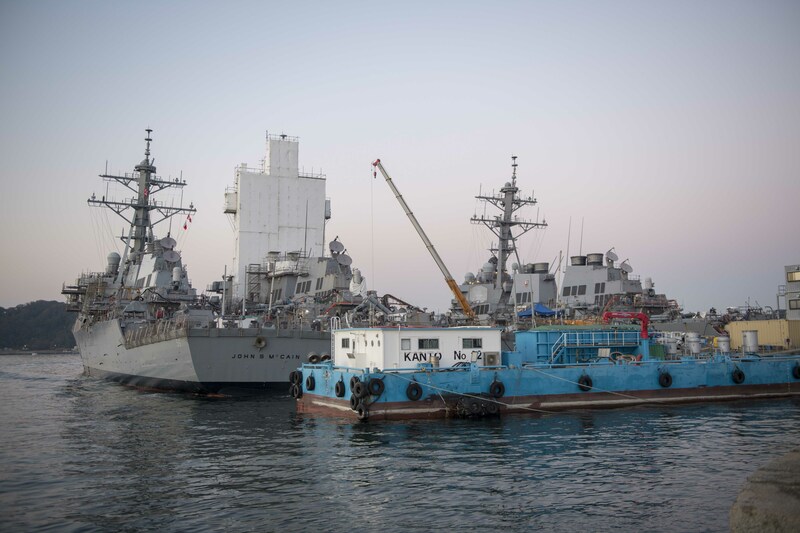 “I’m proud of and thankful for every person who has worked together to move USS John S. McCain another step closer to both normalcy and sailing again with U.S. 7th Fleet,” McCain Commanding Officer Cmdr. Micah Murphy said in the 7th Fleet statement. YOKOSUKA, Japan —USS John S. McCain (DDG 56) achieved a major milestone this week as it successfully launched from dry dock and moored pierside at Commander, Fleet Activities Yokosuka, Nov. 27. This summer, Secretary of the Navy Richard V. Spencer inducted U.S. Sen. John S. McCain III into the ship’s official namesake alongside his father and grandfather in a ceremony on board, July 12. The crew’s messdecks, known as the Maverick Café, re-opened for business on Nov. 19, the late Senator’s birthday.